Credit card giant American Express has in effect paid no income tax on its multibillion-dollar operation in Australia for seven years. It defies belief that over seven years, American Express Australia is making next to nothing in taxable profit. That result came despite the company booking almost $8 billion in revenues from Australian customers since 2008. Of that total, $3.6 billion came from merchant fees and $2 billion from interest income on credit cards. American Express declined to comment. As credit card issuers, the major banks have come under fire in recent weeks, in federal parliament and from the prudential regulator, for charging their customers interest rates of more than 20 per cent although the cash rate is dwindling at a historic low of just 2 per cent. 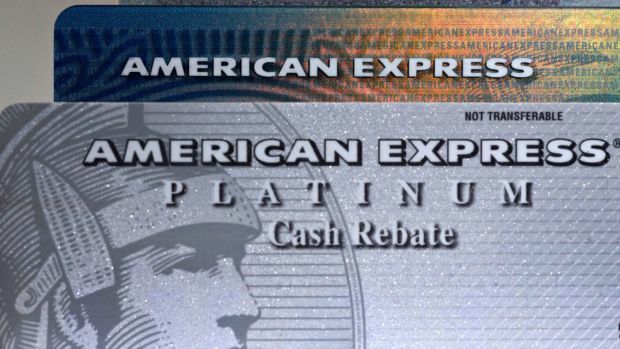 American Express charges more than 20 per cent on some of its credit cards. It also takes a clip of about 2 per cent on every transaction made by merchants that allow use of its credit cards. “On the face of it,” says Knapp, “American Express Australia has a very lucrative business model”. However, despite the high revenue generated by its operations each year from interest and merchant fees, American Express Australia has a net tax position equal to a refund of $3.3 million for the seven years ending 2014. The most tax they have paid in any one year is just $2.2 million, says Knapp, and the high point was in 2008. In four of the seven years, they received a tax refund rather than making a tax payment. At $4 million, the audit fees of PwC have effectively been subsidised by the Australian Tax Office. “It defies belief that over seven years, American Express Australia is making next to nothing in taxable profit,” said Knapp. While a good deal of the company’s income is soaked up in staff costs and marketing costs, billions of dollars in receivables have been transferred at a discount from the Australian business to an opaque partnership set up by Amex head office in the United States. American Express restructured itself in 2004 and the effect has been to substantially lower its profits in Australia. The lower the taxable profit, the lower the obligation to pay company tax in this country. The notes to American Express Australia’s financial statements show that, in September 2004, the company entered into an agreement to transfer billed card-member receivables to American Express Capital Australia (AECA). AECA is in turn a general partnership established by CredCo, domiciled in the tax shelter of Jersey, and American Express International Inc. The 2008 financial report for the Australian arm of American Express notes: “Included within borrowing costs in the income statement is the discount charged on the transfer of receivables to AECA of $370 million”. Through this arrangement, Amex in Australia has transferred almost $5 billion in credit-card receivables to a related entity in just one year at a large discount. These receivables are monies that are due to be paid by customers on their credit cards. Although it is not unusual for there to be a discount when “factoring” financial assets such as credit card receivables, the size of the discount to an associated entity is worthy of examination, said Knapp. Last year the discount was $153 million on a loan balance of $3.3 billion. During the past two years, Fairfax Media has conducted investigations of several US multinationals operating in Australia – including Google, Facebook, News Corp, Pfizer, and Chevron – and exposed similar patterns. In each case, structures have been designed to lower taxable income as much as possible in this country, even to the point of loss, while transferring profits to other countries. In each case, the profit margins appear far higher in the US. Costs and debt levels are generally higher here and lower in the US. “American Express is an apt metaphor for the vanishing corporate tax base in Australia,” said Knapp.